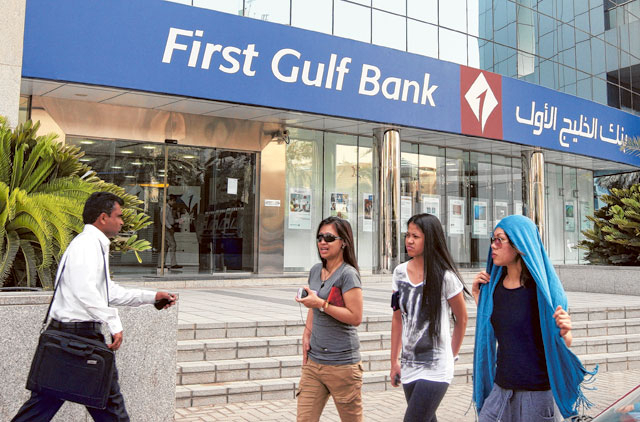 Abu Dhabi: First Gulf Bank’s (FGB) newly established wholesale banking group is set to take part in deals, represented by loans or bonds, that are worth $15 billion (Dh55.1 billion) during this year, the bank announced. He explained the establishment of the sector saying that the bank used to provide “one size fits all” services while competitors were better servicing high-value clients. Penney said that 39 per cent of the group’s revenue came from wholesale banking last year, but he gave no projections as to how this figure may change this year. The wholesale banking group hosts under its umbrella Debt Markets, Global Transaction Services, Islamic Banking, Corporate & Investment Banking, and Treasury and Global Markets departments. To support it, the bank is looking to hire around 30 people into the group. Penney talked about their plans for this year, saying that the debt capital market and transaction banking are big focus points for the bank. He added that FBG is in the process of going live on their project to have online corporate solutions for clients. Discussing the bank’s expansion plans, Penney said they are in the process of obtaining a license for a representative office in South Korea. They are also looking to open an office in London this year for liaison purposes and sourcing opportunities, and an office in China. With an existing representative office in India, the bank is looking to upgrade that to a branch office. Penney said he expects the most growth to come from the debt market, followed by trade business, Islamic banking, and corporate financing.